AUGUSTA (NEWS CENTER Maine) -- Only a fraction of Maine's 186 legislators are under the age of 40, but they are hoping to encourage more young people to join them. 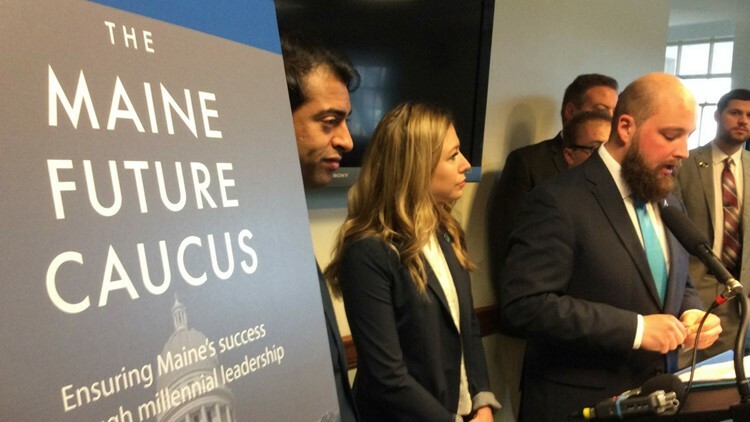 That is one of the goals of the new Maine Future Caucus, which debuted at the Maine State House Wednesday morning. The group of under-40 legislators, led by House Democratic leader Rep. Erin Herbig (37 years old) and GOP Rep. Matt Pouliot (31), is affiliated with a national movement called the Millennial Action Project. Herbig and Pouliot said they hope to bring together young lawmakers to focus on issues of direct importance to their age group, especially student debt and job creation. They said younger people are often more willing to work together to solve problems, and less worried about partisan labels. The two legislators said just 11 percent of the current Maine Legislature, about 20 people, fit into the under-40 category, and that they hope the caucus will also help attract more of their age group to seek elected office.